This was an excellent tour with many great memories. 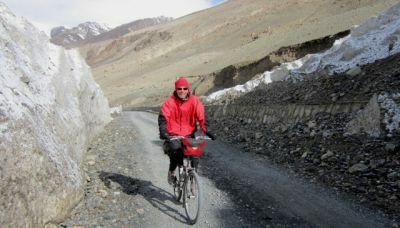 I particularly liked the rides to/from Chirah and Shimshal. Ideally we would have ridden up to Shimshal instead of just down (no loss for me since I had an injured hand that day and would not have been able to ride up). I realize it would be a fairly challenging climb up. Giles is a very competent guide and a saint. He managed difficult situations with great skill, applied first aid, as was needed from time to time (I was a beneficiary) and handled changes in itinerary well, keeping us up to date. I'd be happy to go on any tour led by Giles. Brilliant trip! The accommodation was a lot better than expected for the areas we visited. Would have rated the redspokes guide Giles along with the Pakistan and Kyrgyzstan guides higher if there was a category above excellent, thanks for a great trip. Its difficult to select the highlights, so many but would probably pick the Hunza valley for the mountain scenery and the lake crossing, pity the tunnel will be finished next year and rob the pleasure for future travellers, thanks again! We thoroughly enjoyed the KKH Tour. Our guide Giles was excellent and did very well sorting out unforeseen problems, Our local guides in Pakistan and Kyrgyzstan were also very pleasant and helpful, as were the local people. 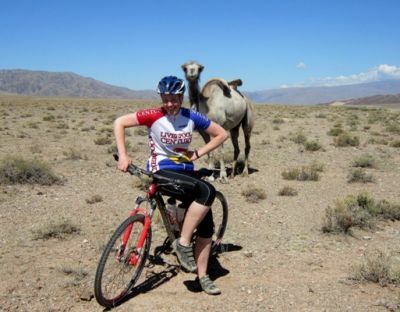 The scenery in all three countries was spectacular and the cycling was very varied. Rough rocky tracks on narrow cliff roads leading to local villages, to straight, wide tarmac roads with little or no traffic. 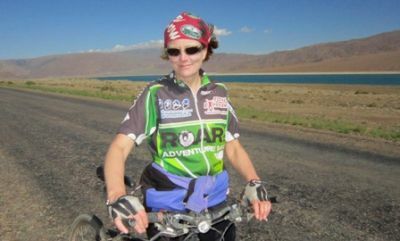 We cycled with a great group of people and stayed in some comfortable places, especially the homes stays in Kyrgyzstan. The warm welcome and stunning scenery in Pakistan was unforgettable. I really enjoyed the trip, my first to such remote locations. The support team was excellent, always there with a friendly smile and an offer of a cup of tea. Although it was disappointing that the Chinese border was closed for ten days, those of us with mountain bikes were kept well exercised. The generosity and friendliness of the people in the Hunza valley was a real bonus. The contrast between landscapes in the three countries was also a highlight. The support teams, especially in Pakistan where we spent most time, were wonderful - personable, knowledgeable, generous, hard-working and efficient at sorting out local problems. Tour leader, "Dermot the Great", personified the three e's - energy, enthusiasm and efficiency and managed the difficult task of balancing the needs of the group with the needs of individuals. Highly recommended to cyclists of all types. The KKH trip was everything, and more, that I'd hoped for - although the roads were worse than I'd expected!! 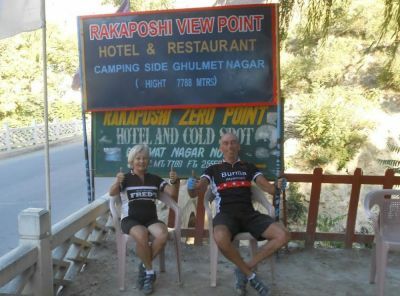 The added bonus of traveling with Red Spokes, certainly on this tour, is the opportunity to see first hand some of the work in the local community which is sponsored by Red Spokes' charitable trust. This made the trip so much more than just a cycle tour. I can't stay away! Once again a trip that I cannot fault, a fantastic group of people, and a truly dramatic route taking in three countries. This trip was both rewarding and spectacular and so much more as well. I just wanted to carry on. The support and organisation of Dermot and the team was as ever unsurpassable, and i think, makes these trips the truly unique experience that they are. 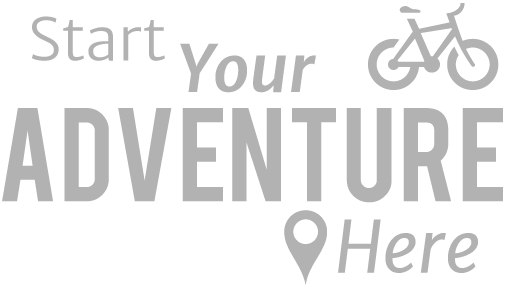 Already planning my next adventure, With Redspokes of course!
" I really enjoyed the trip, my first to such remote locations. The support team was excellent, always there with a friendly smile and an offer of a cup of tea.... "